Slowly but surely, winter snowpack is melting off Mount Hood and making its way into the rivers around Portland. And with temperatures at or near 60 degrees most days (not to mention more sun than we're used to most winters), the time is right to hit the water for your first kayaking trip of the season. But where should you go, what should you know, and what should you bring? Here's the lowdown on making the most of spring kayaking in Portland, whether you've never gone before or have already dusted off the kayak after a long winter in the attic. 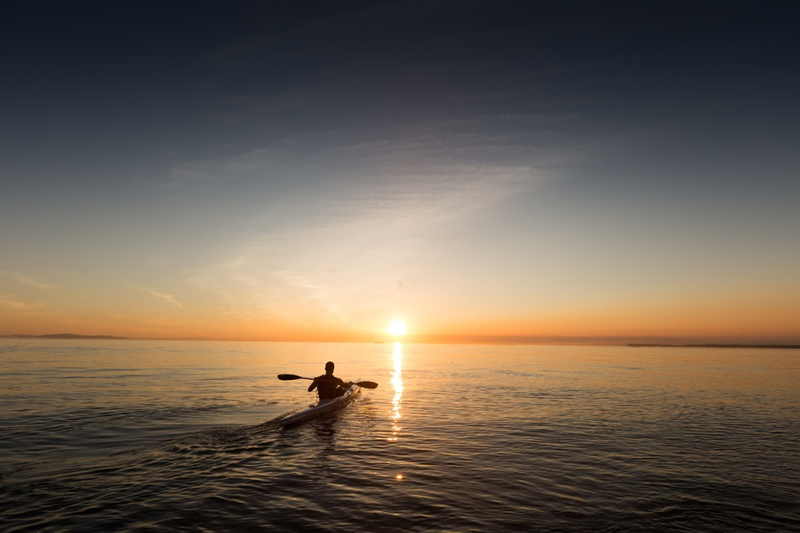 Flat water paddling and whitewater paddling offer different challenges that create altogether unique experiences on the water. Flat water paddling provides an appealing early-season option, especially for newbies. The abundance of water in and around Portland makes it easy to find a fun, low-key spot to get acclimated with the activity, and the smoother water presents fewer challenges for those new to the sport or paddlers getting back into shape after the winter. Options abound in North Portland, along the Willamette River, and along stretches of the Clackamas and Sandy rivers, closer to Mount Hood. 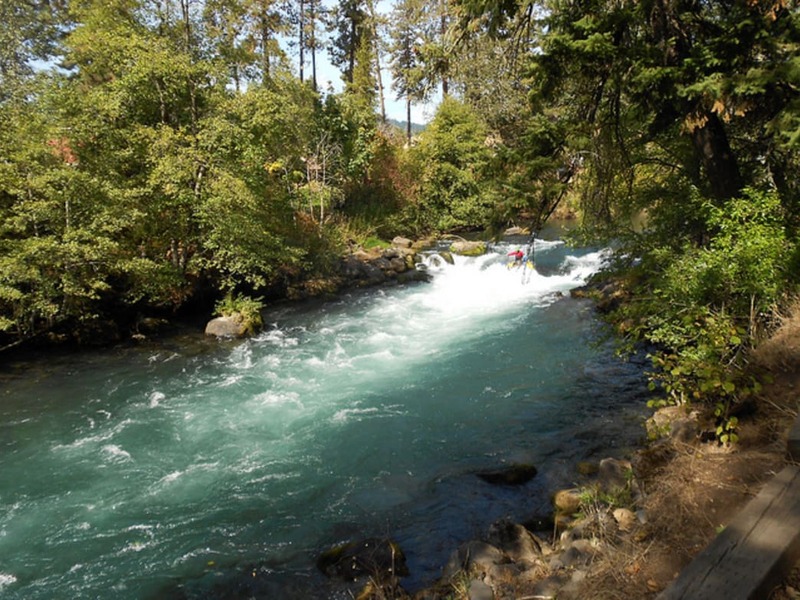 More experienced paddlers might want to consider whitewater paddling, which introduces more challenging rapids—Class III and Class IV rapids aren't uncommon along stretches of the Clackamas or White Salmon rivers—and difficult terrain. Even experienced paddlers should arrive with the proper gear and prepare for challenging situations. Wherever you go, make sure you know your skill level, fitness, and comfort with challenges before hitting the water. On one level, paddling is as simple as dropping your gear into the water and taking off. With gear and equipment rentals widely available throughout Oregon, the barrier to entry is low. But that doesn't mean you shouldn't hit the water with the right gear. First and foremost, don't think about climbing in the kayak without a personal flotation device (PFD). The right PFD can mean the difference between a fun, exciting adventure and an irritable, frustrating outing. A quality PFD should fit snugly around your upper body without constricting movement, especially around the arms and upper shoulders. Any reputable outdoor gear shop, including Next Adventure, should have the right equipment and available staff to help ensure you find the right PFD. 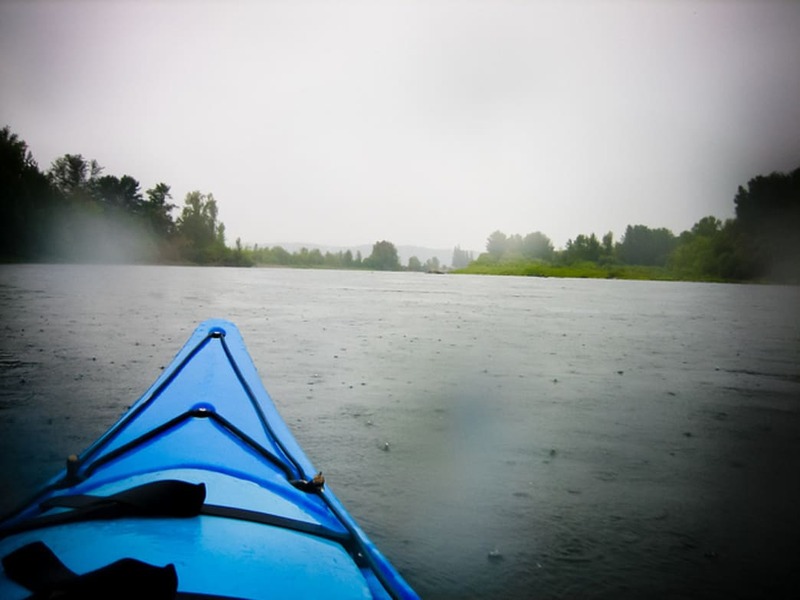 In addition to the PFD, paddlers in Oregon are legally required to carry a whistle or other signal, and a light (flashlights, headlamps, and cell phone lights are all okay). Any kayak 10 feet or longer also requires paddlers to purchase an Aquatic Invasive Species Prevention Permit. The permit ($7 for kayakers) helps state officials fight the threat of invasive aquatic species, including the New Zealand mudsnail and the Quagga mussel, through boat decontamination, educational efforts, and more. As for what to wear under the PFD? You'll want layers to account not just for the surface temperature, but the water temperature too. Even on an unseasonably warm winter day, tipping over can expose paddlers to hypothermia. To that end, paddlers will want to wear moisture-wicking outer layers to keep themselves dry and warm after working up a sweat, as well as water- and wind-resistant gear to account for conditions. 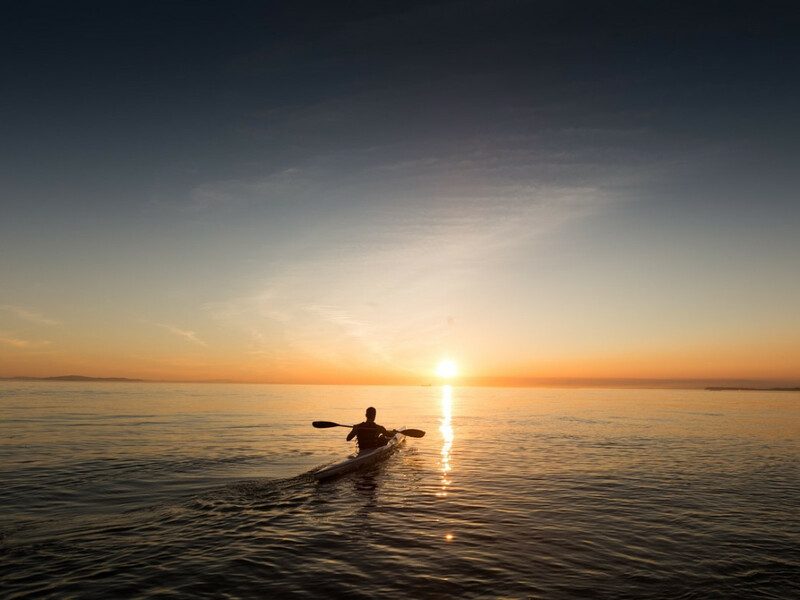 If you're looking to purchase a kayak, note that the most basic model will run about $600—though the price can easily double for kayaks designed to take on more challenging waters. Some kayaks are inflatable, some can be folded, other models allow for one or two paddlers, and yet others differ by where the boat paddlers sit (whether in or on the boat). Do some research with a local gear shop before deciding which model is right for you. Paddlers looking to rent are in luck: Numerous companies in the area rent kayaks (and necessary gear) by the hour or day. Portland provides flat water paddlers with an embarrassment of natural riches. Running through the heart of Portland, the Willamette River's Ross Island loop boasts beautiful views of the downtown skyline and up-close encounters with all sorts of urban wildlife. Formerly the site of a mining operation, Ross Island today has been reclaimed by Mother Nature and provides a quiet rebuke of downtown's hustle-and-bustle. Paddlers are welcome to explore the island's beaches, where they may see black-tailed deer, river otter, beaver, and any number of birds. More than 100 species of birds make use of the island during migration, including the bald eagle, osprey, and blue heron. You'd never know that you're only a few minutes from the traffic-choked Interstate 5 corridor while paddling around the quiet, contemplative Smith and Bybee Wetlands in North Portland. And because water levels vary with the season, the wetlands provide an ideal spring paddle; by late summer, the region may look more like a muddy bog than a lush wetlands area. Springtime paddlers may see bald eagles, beavers, Western painted turtles, and any number of migrating birds. 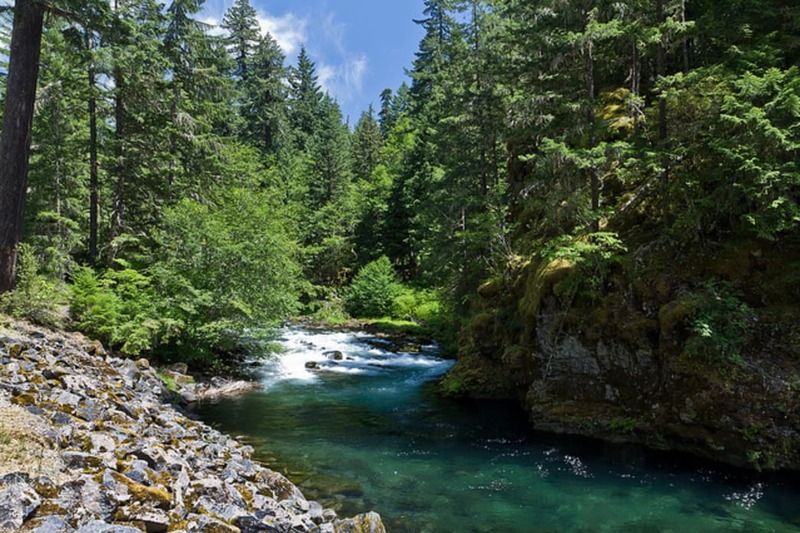 Whitewater paddlers would do well to hit up the Clackamas River, which provides the nearest and most accessible rapids near Portland. The Lower Clackamas hosts smaller, more manageable rapids—most are Class II or easier—while the upper Clackamas delivers of mix of Class III and IV rapids for more experienced paddlers. Given the Mount Hood runoff currently swelling the river, late winter and early spring may deliver some of the bigger, more challenging rapids of the year. The waters of the White Salmon River offer some of the most challenging, coldest, and fastest-flowing rapids in the region. 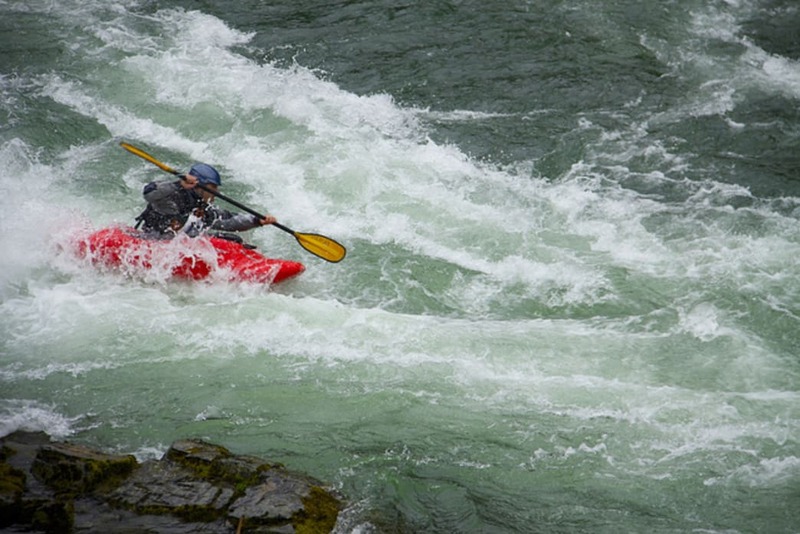 Moments of wide, calm runs are offset by Class III and Class IV rapids at numerous points, making it one of the best rivers in Washington for skilled and advanced paddlers.